" The ministry will build various facilities to support Seribu Islands' tourism such as the toilet with Betawi style, gazebo, ampliteater on such islands"
City Governance Bureau along with Seribu Islands Administration and Public Works and Public Housing (PUPR) Ministry conducted a location survey, related to the development of tourist facilities in Seribu Islands. Cooperation between Tapem Bureau Agency Institution Sub-Division Head, Marulina Dewi Mutiara disclosed that Jakarta Provincial Government will cooperate with PUPR Ministry in a bid to support the national tourism strategic area (KSPN), which is the development of tourism facilities on Untung Jawa and Tidung islands. 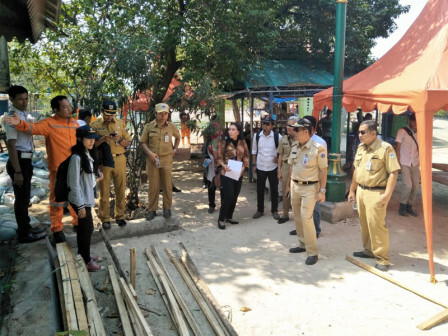 "The ministry will build various facilities to support Seribu Islands' tourism such as the toilet with Betawi style, gazebo, amphitheater on such islands," she stated, on Pramuka Island after survey, Monday (9/24). Her party also surveyed the place for microgrid development on Pramuka Island, which is the aid of South Korea. Microgrid is an electric power coming from the sun, then stored in a number of electrical panels. "When electricity goes out, it will automatically turn on. For construction on Untung Jawa and Tidung islands, it will be complete in the upcoming December. While the microgrid is built starting in 2019, finished 2020," he said.